Super healthy and super tasty Japanese-styled omelet by AlmazanKitchen! Change the beef broth with water and you will have tasty vegetarian dish! You’re on pure vegan diet? Not a problem, rice and mushrooms will do the job too! 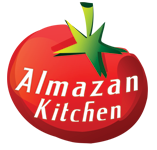 We’re truly amazed by the Japanese culture and today we took some free-range eggs, rice, rich unagi sauce,mushrooms and veggies to make classical omelet with notes of AlmazanKitchen passion and love! We enhanced this beautiful dish with marvelous parmesan and Roquefort cheese. We also didn’t forget about foodporn, slowmo and this awesome cooking sounds we all adore! Preheat the pan, grease it with oil. Toss in diced onions. Unpeel and slice ½ of celery root, toss it into the pan. Fry for a while. Toss 1 cup of green rice into the pan, mix well. Add full bowl of beef broth into the pan, stir well, let it soak for a few minutes. Add handful of black trumpet & dried boletus. Slow-cook for few minutes. Finish off the rice with grated parmesan cheese to taste. Melt 1tbsp. of butter in the pan, pour whisked eggs in the pan. Fry until eggs hardens a little bit, add Roquefort cheese to taste. Fold the omelet. Serve the omelet on the rice & mushrooms, finish off with good amount of unagi sauce.